Friends lovers and consumers! Berlin Fashion Week is right in front of us – and even though we decided to stay out of the trouble this year, we finally found ourselves right in the middle of it all. 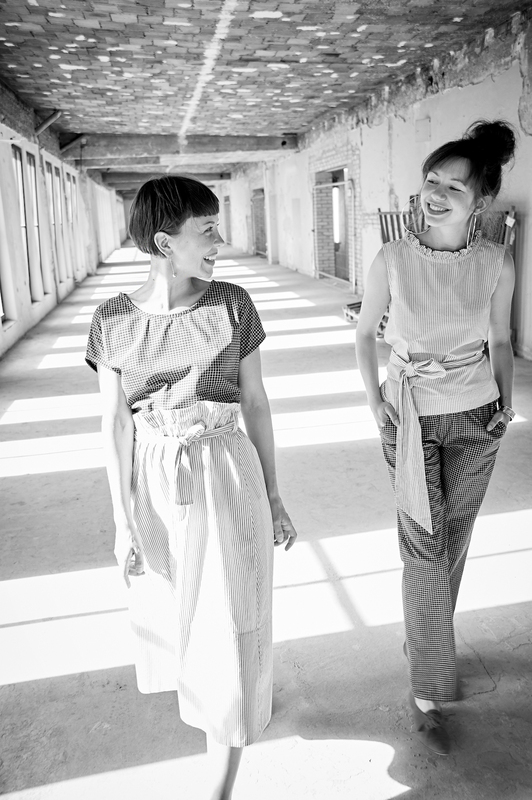 For starters, we teamed up with the female collective Fashion Changers, who are trying to change the fashion game by bringing the eco- and fair fashion collections displayed at Greenshowroom and Ethical Fashion Show Berlin a little closer to the Press and all fashion-interested people out there. How they do that? As easy as it sounds: by providing a cosy place to try on some of the favorite slow fashion pieces that will hit the stores during this or the upcoming season. We tried a few pieces on ourselves, when we last hit the road towards Berlin – and viola: This is what we fell in love with. 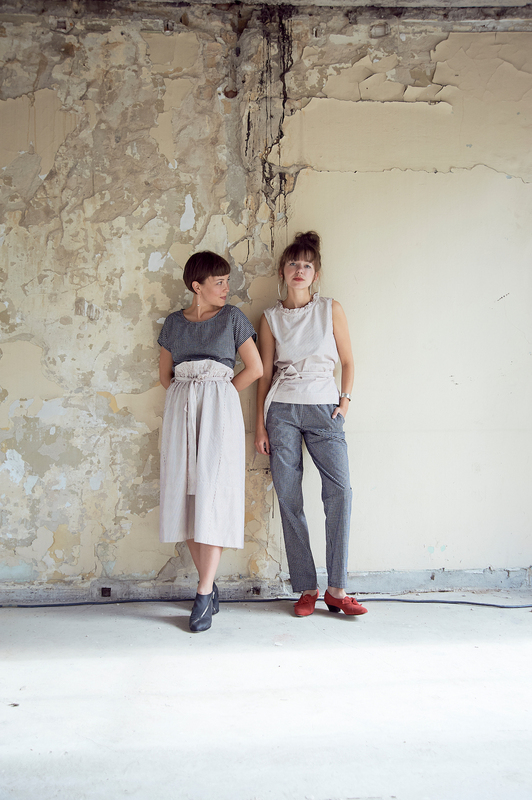 Two twin-sets, mixed and matched, by Leipzig based fair fashion designer Maria Seifert and the german fair fashion label Lana Organic. 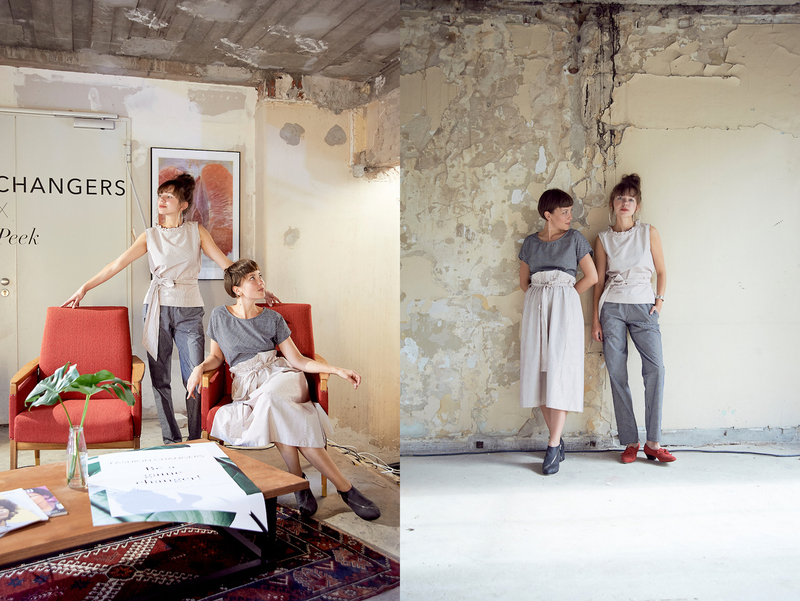 Thanks to photographer and partner in crime Lena Scherer, we even have a few photographic postcards, to tell you how much we’re actually looking forward to next week! How we finally got involved, you may ask? Let’s see: After having so much fun with our first Eco and Fair Fashion Test on the newly launched Magazine (find and take the test here!) 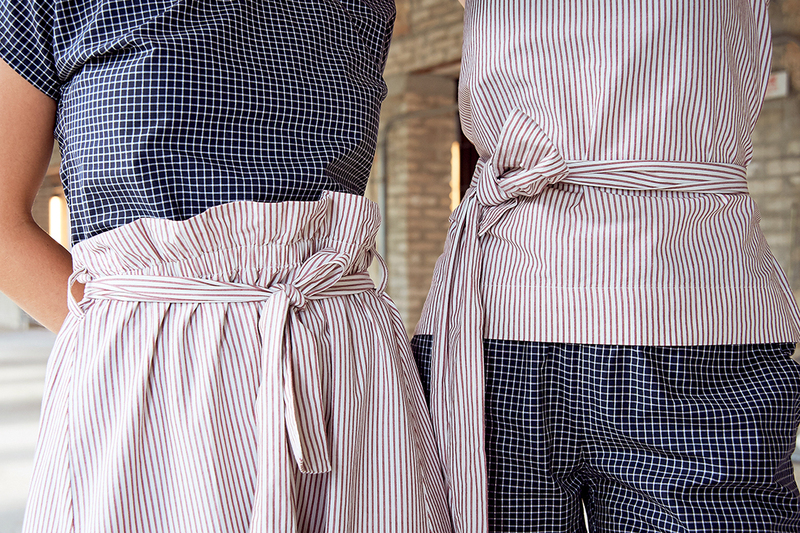 we decided to take it right into Fashion Week. Find us this upcoming Monday, testing peoples personal fashion preferences and picking out aesthetically pleasing eco fashion pieces. Also, you can listen to Esther taking on the discussion about consumerism and consumer behavior today at the thursday panel at 11 AM. Be there and join us! 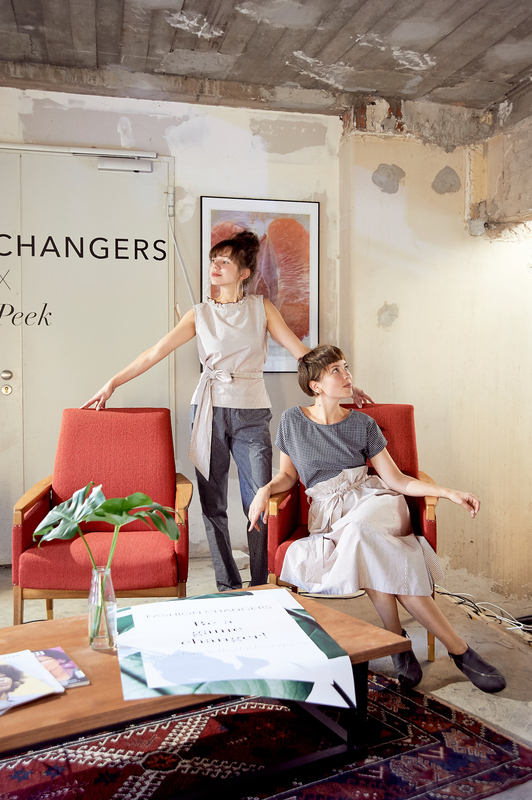 Fashion Changers Talk: Wie viel Macht haben Kundinnen?